The big news is the planet of Jupiter (Ruler of all things lucky, prosperous and promises growth, movement and abundance) enters Leo until 8/11/2015. Jupiter also deals with higher learning, overseas travel and promotion and is the planetary ruler of Sagittarius. Jupiter is known as the eternal Optimist of planets in Astrology. Jupiter also deals with travel, higher learning and places a big emphasis on our personal beliefs. During this year long transit, regardless of your sign, your beliefs or spirituality are subject to change during this lucky transit that begins today and ends 8/11/2015. Jupiter represents the principal of growth without any judgement. Jupiter in Leo brings about feelings of confidence and rewards others without much effort unless any of us become overly indulgent and avoid excess in anything we do. In other words: there is a tendency to go overboard when engaged in certain activities and behaviors. Utilize moderation in anything you do! With Jupiter in Leo, it's time to be in the limelight, show off the one you love and you will personally witness people who have been alone for decades find a true love match during this time. It's time for Leo to go after whatever it is they desire. The only downside to Jupiter....watch a tendency to be over extravagant, monopolize conversations or people and watch out for dominating behavior as Jupiter in Leo loves to show off! Where will you get lucky in the coming year? 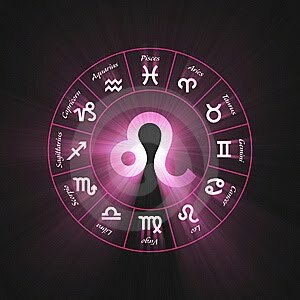 Aries: Jupiter (Good luck, abundance and good fortune ) exits your 4th House of Cancer and enters your 5th House of Leo - which speaks to love affairs, what you like to do for fun, gambling/taking risks, pets and your children will play a big role in your life in the coming year, Aries. Expect inspiration to pour out of you during this time. Your creativity will get you noticed but family and love life will also compete for your time and attention. You could recently have become a parent or met someone who feels like home to you. Couples will be in sync and remain that way! Be advised though and extra careful of women who might interfere in your relationships, love and sexual relationships. Someone wants something or someone you have, Aries! Make sure they don't get him or her or you will be beyond devastated! Keep tabs on your special someone during this time. Taurus: Jupiter (Abundance, good fortune) exits your 3rd House and enters your 4th House of home, residence, relatives and also deals with your personal environment, Taurus. You could buy, move or sell your home during this time. An interest in your childhood could come about. Your success is tied to your home life during this time. Aim for greater family harmony and work on perfecting your inner strength. Real Estate, stocks and investments will pay off. Gemini: Jupiter (Good luck, good fortune & prosperity) exits your 2nd House of personal possessions and what you deem valuable and enters your 3rd House, the House your sign rules naturally, Gemini. Expect to shine during this time, personally and in your everyday activities. Relations with siblings, neighbors and promise to bring about great movement and prosperity. Your communications skills will be off the charts, Gemini. This is your time to write, journal and take detailed notes as these ideas and stories can make you a fortune. Your social life also picks up serious steam. Cancer: Jupiter (Abundance/Luck) exits your 1st House today and begins its tour of your 2nd House of property and personal possessions, Cancer. With Jupiter in your 2nd House, you will be dealing with your personal values, your attitudes about money and how you earn and spend your money. You will also discover what means the most to you during this transit as the 2nd House is about what you value on a personal and financial level. It's time for Cancer to increase his or her security during this transit. Be a saver, not a spender during Jupiter in Leo. Your cash flow increases but so will your expenses. Leo: Jupiter (Luck/good fortune) has been touring 12th House of issues past, privacy, secrets and self introspection. The 12th House has also been known as a place of healing, so it's entirely possible that during Jupiter in Cancer, you were dealing with hospitals, secrets, government agencies and what you give to others unconditionally. With Jupiter now moving direct in your sign, you hold the luckiest cards, Leo! This is your time to build your friendships, make sure you socialize away and be prepared to be dealing with influential people. You could put on weight during this time, if not entirely careful. And tone down any overly extravagant lifestyles because when the bill comes - you might feel overwhelmed but you must pay what you owe, Leo. Virgo: Jupiter (Abundance/ good fortune) has been touring your 11th House of friendships, your hopes and wishes. A love interest began during this time and or begins. Jupiter will tour your 12th House for an entire year. Jupiter in the 12th House can manifest in several ways for you, Virgo. During this time, you will be urged to reveal your true beliefs, your true intentions and you will be given keys to doors that were previously shut. Your dreams can be more vivid during this transit. Caution Virgo: proceed very slowly during this time, especially when you work on dealing with the past and putting an end to one chapter and beginning a new one. You discover what has/is occurring behind the scenes/closed doors, so don't be surprised if your hunch about someone close is 100% accurate. Listen to the advice and suggestions of close female relatives during this time and realize that facing your fears makes you stronger, not weaker. Stop stressing out and enjoy the privacy this transit offers you. Libra: Jupiter (Good luck/Good fortune) has been touring your 10th House of career, prestige and superiors, authority figures and deals with your fate since last Summer, Libra. Jupiter enters your 11th House of Leo today, Libra. With Jupiter in Leo, your connections with others, friends and groups pick up steam. You have the option of picking and choosing what and who you want in your personal space. You gain via important and influential people on your side and you can find a new love, bond even closer with existing ones, re discover an ex love or find that everything you thought you ever knew about love is about to change, for the better! Scorpio: Jupiter (Movement/Abundance) has been in your 9th House of overseas travel, legalities, publishing and advertising since last summer, Scorpio. By now, you should have an idea if you look back to last Summer and think about these areas, you should have most definitely experienced expansion in one or in several of these areas. Today, Jupiter enters your 10th House of Leo, which deals with your public image, your career, people who hold power over you and how the public perceives you. During this time, it is imperative that Scorpios make every attempt to build his or her prestige, promote themselves and work as much as possible with the public. This is not a good time to remain stuck at home when not working, Scorpio! Network, start that new career you have secretly been contemplating and follow through with social networks, friends and your business contacts. A new job and more money could come your way during this transit. Play your cards right and you can have it all, Scorpio! Sagittarius: Your ruling planet (Jupiter) has been in your 8th House of power, other peoples money and physical transformation since last summer, Sagittarius. Today, Jupiter enters the compatible fire sign of Leo which rules your 9th House of overseas travel, higher education and deals with topics such as advertising, promotions and legalities. During this year long transit, Sagittarius is encouraged to open his or her mind up to a new way of thinking and relating to others. This would be considered an ideal time for your to further your education, plan your future and focus on all of the interesting, eccentric and appealing people who enter your life during this time. Your friends and someone special can enhance your business with his or her expertise and bring about good fortune your way. Capricorn: Jupiter (Luck, beliefs and abundance) has been in your 7th House of marriage, open enemies, divorce and legal contracts since last summer. With Jupiter opposite Capricorn, Capricorn might have felt left out at times during this transit but the good news is that love and romance are about to get serious, stable and committed, single or coupled. Today, Jupiter enters the fire sign of Leo, Capricorn. If you're the risk taking type, this transit will not bring you the abundance you might have hoped for as taking a calculated risk is not acceptable in this placement, personally , financially or when dealing with endings, Capricorn. Jupiter in your 8th House does promise that you could be dealing with others managing your money, you possibly managing theirs and you could find yourself getting involved in more joint ventures that promise to bring about a windfall. Aquarius: Jupiter has been in Cancer, your 6th House of health, routines and daily work since last Summer. Today, Jupiter enters your 7th House of marriage, divorce, open enemies, the legal system and relationships and documents that require a legal signature. If you look back to last summer, you should be able to clearly see how this subtle transit has impacted you where your health, career, fitness, daily routines, repairs and maintenance issues have brought about great growth and serious movement. Today, Jupiter will enter your 7th House of marriage and legal contracts. Expect these areas to again bring you good fortune but you might need a partner by your side to help being about this expansion. Single Aquarius will feel low on energy but can make tremendous strides when it comes to movement where marriage, divorce, legal matters, open enemies and legal signatures are involved for the next year until 8/11/15. Pisces: Jupiter has been in Cancer, your solar 5th House of love, romance, creative projects, taking risks and also deals with children, more so than usual. If you look back to last Summer, there should be noticeable movement in these areas where previously there were blocks. During Jupiter now in your 6th House, your greatest rewards and benefits come to you via setting up a diet and exercise regimen. You could find the details of daily living to appear never ending. You could also find you have to streamline your profession in some way in order to go along with the majority even if you oppose it at your place of employment. In other words, this is a time to learn to be a team player, to listen to everyone's point of view and to tune in to your body and take excellent care of your personal health.